Last week, Denmark started using soldiers to free up the overburdened police force. Sweden appears open to the same possibility in the city of Malmö, which has been plagued with gangland violence and shootings. After the Danish police proved to be struggling to tackle both the enhanced border controls and the increasing terrorist threat from Islamist fundamentalists, the Danish government decided to place 160 soldiers to relieve the Danish police to have more time to investigate the growing number of gang-related murders. One of the soldiers' missions is guarding the synagogue in Copenhagen, which in 2015 became the target of a terrorist attack and has since been under police surveillance. Now, Malmö police chief Stefan Sintéus has opened up his city to the same possibility. In this way, he argued, the Malmö police force, which is currently overloaded with gang crime and shootings, will have more time for its primary duties. By his own admission, Sintéus was "cautiously positive" about the Danish initiative and exhibited a keen interest in how it will develop. "I mean that everything we can possibly do to make society safer is good. If you could, like the Danes, use the military for safeguarding measures without using force, it makes sense," Stefan Sintéus told Swedish national broadcaster SVT. According to Sintéus, soldiers could, for instance, help with the surveillance of arsons or border controls across the Øresund Bridge. At the same time, SVT pointed out that Sweden generally has a restrictive view of what the military should do, not least because of the civil unrest in the sawmill district of Ådalen in 1931, where five protesters were shot dead by soldiers called in as reinforcements by the police. Sintéus believes therefore that the issue should be first evaluated based on how it works out in Copenhagen. However, the Armed Forces appeared to be positive to the idea, as press officer Philip Simon admitted to SVT that they are always ready to help the police. Malmö, which is Sweden's third largest metropolitan area, is often hailed as the Nordic country's most multicultural cities, with only half of the population being ethnic Swedes. In recent years, it has seen a dramatic spike in gang-related shootings. During the eight months of 2017 alone, 102 shooting incidents have occurred in Malmö, claiming six lives and leaving 35 wounded. The availability of cheap firearms remains a major problem, as young criminals have no difficulty obtaining a weapon, the local newspaper Skånska Dagbladet reported in late September. The crime growth reportedly involves children as young as twelve running drug errands. Earlier this year, the Malmö police admitted to being overburdened and suffering from a severe lack of competent personnel. 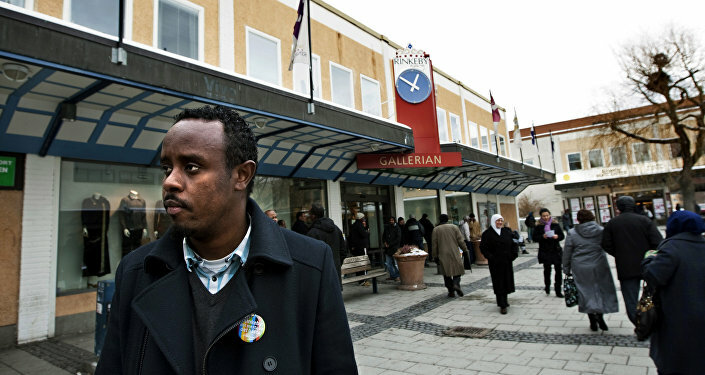 To cope with the rise of lethal violence, Malmö had to "borrow" policemen from other regions. 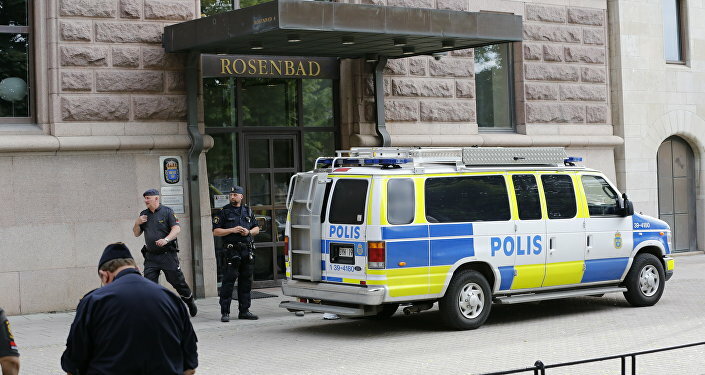 At present, about 60 extra policemen and civilian investigators "on the loan" from other cities are reported to be working in Malmö, down from 150 earlier this year, SVT reported. Meanwhile, the bulk of crimes reported in Malmö has grown to a level called "unacceptably high," whereas the percentage of crimes solved across Sweden keeps plummeting for lack of resources. Recently, only eight percent of investigated rapes were reported to be solved. "You are likely to see fewer police officers in external service," Malmö Deputy Police Chief Mats Karlsson told the Swedish daily Expressen, commenting on the crisis. — Intelligence Fusion (@IntellFusion) 30 сентября 2017 г. ​At the same time, the police force across the country keeps shrinking, as more officers resign in protest, facing low wages, demanding routines and occupational hazards. In 2017 alone, Sweden lost 609 policemen, Swedish Radio reported. — Expressen (@Expressen) 5 августа 2017 г.